There is a ton of to do at Bowen Mills however they have a new foal (for you city folk thats a baby horse). 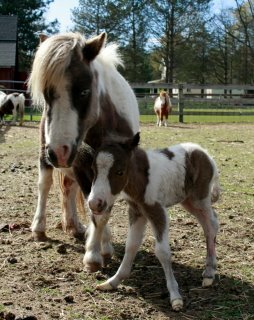 I stole a picture of the new little foal from their Facebook page. I am sure the kids would love to see this. 1864 Grist & Cider Mill The antiquated four-story building’s main floor houses a working Water Powered Cider Mill and Grist Mill and a Museum. There is a Blacksmith Shop, a Water Powered Machine Shop in its lower Level. The third floor has been transformed into a quaint and cozy living quarters. The top floor has a lot of old machinery, gears, and pulleys still in that area. Check it out, I am sure you will become a fan and understand why there are weddings, photo studio, and Christmas festivities. They are located at between Grand Rapids and Kalamazoo near Yankee Springs (Gun Lake) State Park in the heart of beautiful Yankee Springs Township, Barry County, MI. The Old Mill is located in the heart of beautiful Yankee Springs, just 2 miles north of Yankee Springs (Gun Lake) State Park. One could take the 131 expressway to the M-179 or the Bradley Exit Number 61(midway between Grand Rapids and Kalamazoo), east to Briggs Road, then north 1-1/2 mile to the mills entrance. Watch for the Huge Millstone Marker at 55 Briggs Road.